This occasional set has a classy traditional appeal. Each piece sits on a twisted dark brown metal base that includes a shelf. The faux marble top is thick and full of varying neutral tones making a gorgeous piece that will stand out. 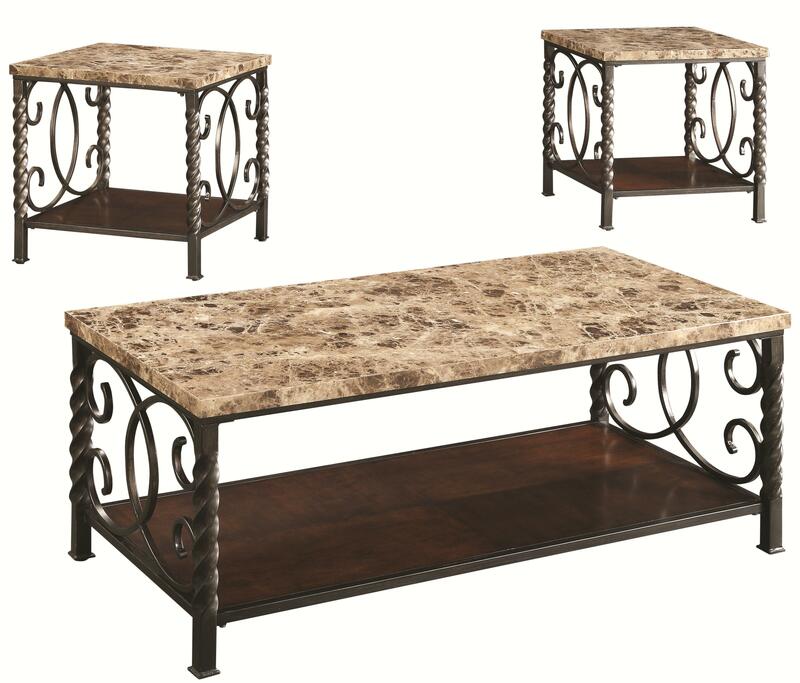 Coffee Table 48"w x 28"d x 19"
The Occasional Table Sets 3PC Occasional Set w/ Faux Marble Top by Coaster at Corner Furniture in the Bronx, Yonkers, Mount Vernon, White Plains, Manhattan, NYC, New York area. Product availability may vary. Contact us for the most current availability on this product.